Alan Myles Limburg (“Myles”), 89, was born in New York City on December 6, 1925, and passed away on February 11, 2015, in Santa Barbara. Shortly after Myles was born, his family moved to White Plains, New York. He completed his elementary and secondary schooling in Greenwich, Connecticut. In the mid-1930s, Myles’s family bought a large farm in the Berkshires in Western Massachusetts. Myles loved doing farm work and was proud of the family’s prized Hereford herd of cattle. Myles completed two years at the independent and coeducational Pomfret School in Northeastern Connecticut, before serving in the U.S. Marine Corps from 1944 to 1946. During World War II, Myles was in the sixteenth wave of infantry soldiers who landed on Iwo Jima and he fought there until the island was secured. Myles was ranked as a Corporal when he was honorably discharged in Chicago. From 1946 to 1949, Myles studied agriculture at the University of Massachusetts. In 1955, he studied business administration at the University of Miami. Myles began his career as a salesman in Massachusetts in 1958, and he sold industrial cleaning supplies until 1984. In 1959, he married the “girl up the road,” Marjorie, and they lived together in Dalton, Mass., for many years. In 1980, Myles moved to Santa Barbara, where his mother was retired. Myles was very active and enjoyed golf, tennis, bowling, and skiing. 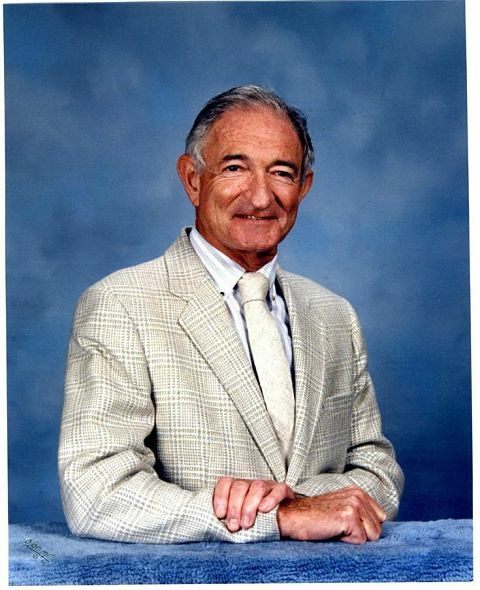 He worked out at the YMCA every week and he was a dedicated member of the Lions Club and the Elks Lodge. Later in life, Myles became a passionate lawn bowler at MacKenzie Park. Myles will be remembered for his charismatic personality and his humor. Myles is survived by his ex-wife, Marjorie Limburg; two children, Fred Limburg, of Dalton, Mass., and Karen Limburg, of British Columbia, Canada; and his four grandchildren, Jodi, Jali, Jaia and Kiyahna. Myles was preceded in death by his son, William Estes Limburg, on May 19, 1978. a private memorial service was held. In lieu of flowers, donations may be made to the Santa Barbara Hospital foundation.